Ullman Sails Ventura is a full service loft. 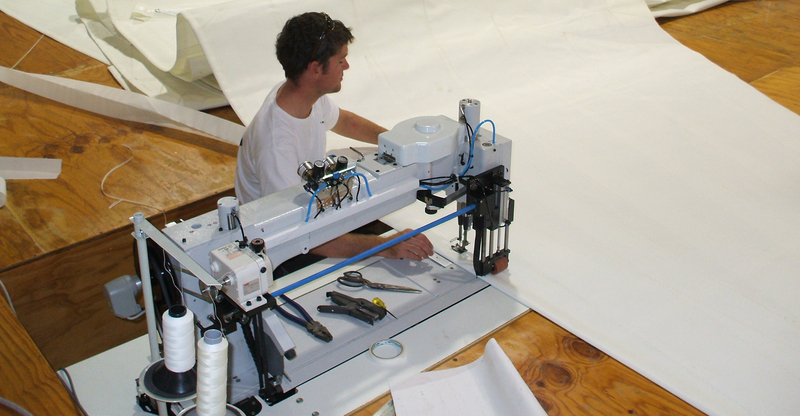 We specialize in the custom manufacture of Racing and Cruising sails. Sails are custom designed for your boat, with consideration of your sailing needs and the conditions you will be sailing in. Stop by the Loft or give us a call and schedule a consultation with Gary. As part of Ullman Sails International worldwide group of lofts for over 30 years, we bring you state of the art design and construction technology. With our combined years of experience we also offer the very best in repairs, restitching, furling conversions and re-cuts. When you bring your sail in we can give you an estimate for the service required, and we do our best to accommodate your time needs. Hours: 8 am to 5 pm Monday thru Friday. Saturday by appointment.